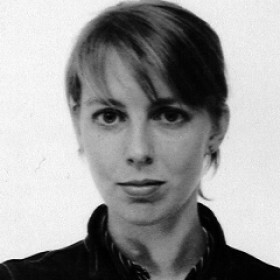 Tina Schulz (*1975) studied at the Hochschule für Grafik und Buchkunst Leipzig. In her work, Schulz investigates the relationship between the acts of viewing and being viewed, using different media, while working mostly in installations, and employing conceptual strategies. She was co-founder of the gallery projects LIGA (Berlin) and b2_ (Leipzig). in 2004, she was supported by a grant of the Galerie für Zeitgenösssische Kunst Leipzig and Sachsen LB gefördert. In 2007, Schulz was awarded the Friedrich Vordemberge-Gildewart Förderpreis. In 2009 she received a working residency of the Land Sachsen as well as a 6-month residency at the Cité International des Arts in Paris. 2010 she'll be artist-in-residence at Wiels in Brussels and have a residency at Villa Aurora in Pacific Palisades. Her works are shown at gallery KOW in Berlin. Tina Schulz is the recipient of Kunstmuseum Bonn's Dorothea von Stetten-Kunstpreis 2010.